Have you ever known someone who, out of nowhere, makes huge impacts in every facet of your life? Someone who, at first meeting you thought you had nothing in common with and that a friendship was probably unlikely because you wouldn’t vibe, but upon second and third and fourth encounters you realized they were a magical unicorn sent to change the entire course of your health, well being, and career? Well, if you haven’t, I wish this person for each of you. For me, her name is Jordan Younger. 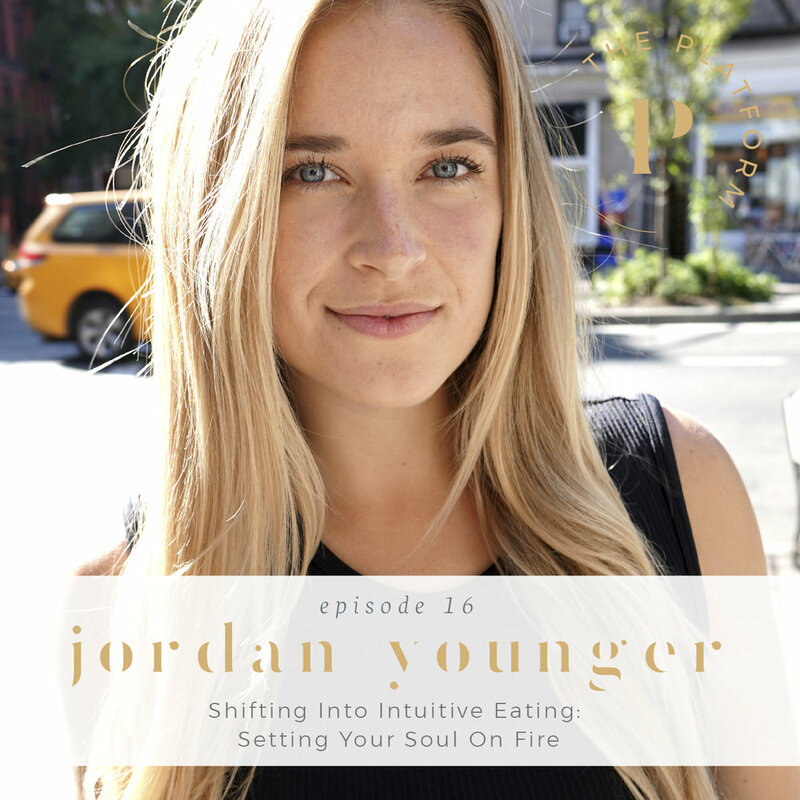 She is the mastermind behind the incredibly successful and beloved blog The Balanced Blonde, host of the Soul On Fire podcast, and author of Breaking Vegan. Jordan is the sweetest, most vulnerable, and most loving person you will ever meet, and I am lucky enough to call her my friend and honestly one of the most critical mentors I’ve ever had in my life. We get into all of the good stuff in this episode. I am so excited for you to listen.